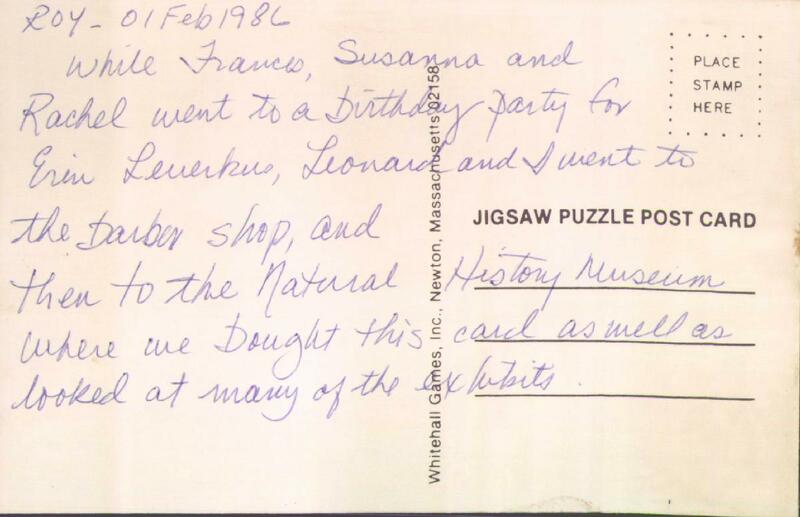 While Frances, Susanna and Rachel went to a birthday party for Erin Leverkus, Leonard and I went to the barber shop, and then to the Natural History Museum where we bought this card as well as looked at many of the exhibits. 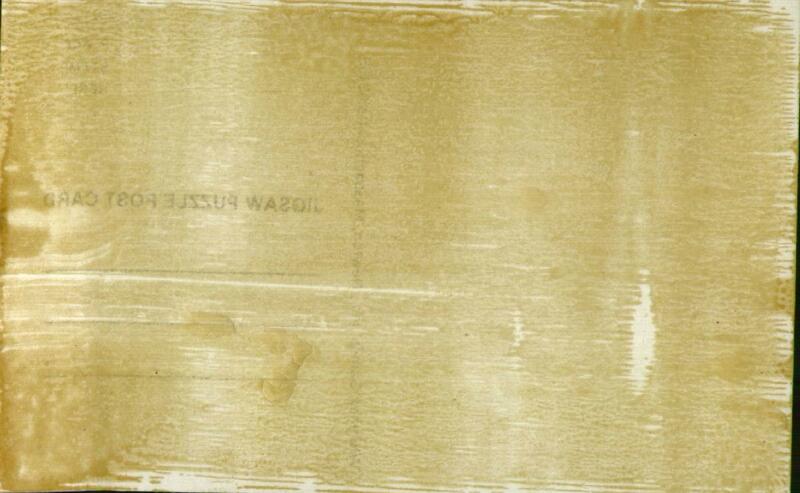 I don't know how this worked, or what happened to the jigsaw puzzle. My guess is the puzzle was glued onto the front of the postcard and you'd have to peel it off to play with it, and that in fact this has happened.